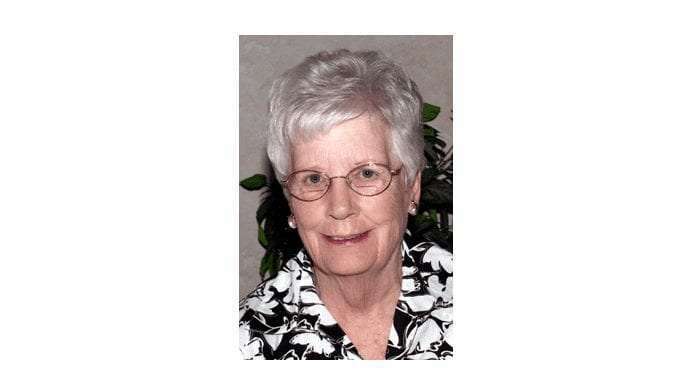 Patricia G. Baas, 85 years old, of Independence, Iowa, died on Tuesday, July 10, 2018, at ABCM Rehab. Center of Independence – West Campus. She was born on August 23, 1932, in Jeffers, Minnesota, the daughter of Glen and Alice (Parr) McGill. She graduated from high school in Jeffers. On February 25, 1951, she and Curtis Leroy Baas were married in Jeffers. After their move to Independence in 1956, Mrs. Baas was a line worker at Iowa Ham in Independence until 1983. She then was a cook at the Independence Community Schools until retiring in 1994. She was a member of Immanuel Lutheran Church in Independence. She always looked forward to spending time with her family. She also enjoyed baking, reading, and walking. Mrs. Baas is survived by her husband of 67 years, Curtis, 5 daughters, Kathy (Myron) Haynes of Oakdale, Minnesota, Becky (Tony) Reynolds of Douglas, Wyoming, Sharon (Mark) Paul of Arvada, Colorado, Karen (Jeff) Greene of Brooklyn Center, Minnesota, and Sandy Baas of Independence, 2 sons, Bob Baas of Isanti, Minnesota, and Jim (Tammy) Baas of Oxford, Iowa, 8 grandchildren, 9 great grandchildren, and 3 great great grandchildren. She was preceded in death by her parents, 3 brothers, and 4 sisters. Funeral Services will be held at 11 a.m. on Saturday, July 14, 2018, at Immanuel Lutheran Church in Independence with Pastor Kristen Rod officiating. Burial will be in Mt. Hope Cemetery in Independence. Friends may call for visitation from 4 p.m. until 7 p.m. on Friday, July 13th, at the White Funeral Home in Independence. On line condolences may be left at www.White-MtHope.com.